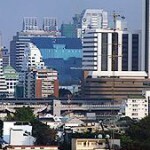 Rompo Mansion is located on Rama IV road, opposite Tesco Lotus super centre and near Khlong-Toey port Expressway. The congregation and the administration are situated in the same building. You can find us in the southern part of the city, about 20 minutes by taxi from the center. 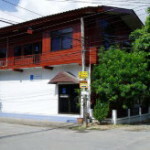 The services will be held in thai with english translation and partly german. We are looking forward to your visit! Divine service will be held in German and English. We are looking forward to your visit! During low season (May-October) please ask by email for the actual location. Tipp: Um sicher zu gehen, ob und wann Gottesdienste stattfinden, empfehlen wir außerdem, unsere Verwaltung in Chiang Mai vorab zu kontaktieren.